In an appearance last week on NY1, a 24-hour news network in New York City, police commissioner Ray Kelly claimed to be proud of the city’s record as a bastion of civil liberties. “We probably have more free speech in this city than any other place in America,” he said. What Kelly neglected to mention is that, increasingly, New Yorkers’ enjoyment of civil liberties has little to do with the department he heads. Ironically, Kelly’s appearance on NY1 came only one day before the Associated Press reported that undercover NYPD officers had infiltrated the People’s Summit, a conference in New Orleans in April 2008 that sought a poverty and hunger-free future in which “freedom of expression,” among other lofty ideals, is “enjoyed by all people.” The article was the latest in a series of award-winning articles on the NYPD. Rather than discuss the AP stories in a nuanced manner, Kelly’s response was to claim that his department was “under attack” by the wire service. Increasingly, such defensiveness rings hollow. The portrait of the NYPD coming into focus over the past several months is of a department that, if not running amok, has gone out of its way to embrace practices that fall into constitutional gray areas. 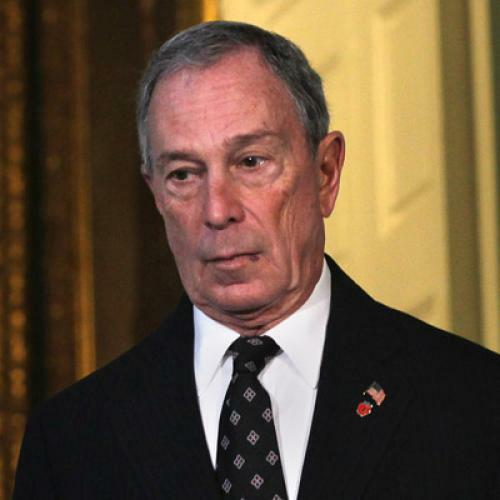 Mayor Michael Bloomberg and his police chief claim to be steadfast defenders of civil liberties, but it seems much more likely that their legacies will be indelibly tainted by the recent revelations on questions of law and order. THE CHORUS OF COMPLAINTS began last September. At the West Indian Day Parade, Jumaane Williams, a city council member whose parents immigrated from Grenada, and a colleague were walking in a closed-off area where they had permission to be. Williams was pushed, handcuffed, arrested and asked to wait across the street. No charges were filed. Williams launched a campaign to draw attention to police overreaching in communities of color. Its main charge involved the department’s stop-and-frisk policy that singles out mostly Black and Latino males based on “reasonable suspicion,” a lower standard than the “probable cause” requirement to make an arrest. It was the start of a new season for the NYPD. Three weeks later, officers corralled members of the nascent Occupy Wall Street movement onto the Brooklyn Bridge and arrested about 700 protesters, including several working journalists. Accusations of police brutality became a familiar trope in the ensuing weeks and months. This February, the outcry reached new heights. The Wall Street Journal reported that police stopped and questioned 684,330 people in 2011, an increase of 14 percent from the previous year. Only 9 percent of those stopped were Caucasian. The department responded that such stops played a role in reducing crime and that they reflect the racial composition of violent crime suspects. But questions lingered over the correlation between lower crime rates and the rise in stops. The New York Civil Liberties Union alleged in a class action lawsuit that the stop-and-frisk program is discriminatory. The NYPD was placed on the defensive again over an AP report that it conducted surveillance of Muslim communities beyond city and state lines. Islamic students across the Northeast were monitored closely by intelligence analysts. One forwarded email regarding an upcoming Islamic conference in Toronto was flagged. So was the sender. An undercover agent joined a whitewater rafting trip in Buffalo and noted how many times participants prayed. Down the Hudson, “mosque crawlers” photographed license plates of worshippers in Newark and flagged leaders who urged congregants to speak out against anti-Muslim sentiment. On a New Jersey radio show, Governor Chris Christie expressed concern that the NYPD’s activities outside its jurisdiction could be “dangerous”—for law enforcement. He mocked Kelly as “all-knowing, all-seeing” and criticized an “obsession” with being “masters of the universe.” Kelly countered that information is shared daily with New Jersey law enforcement and perhaps was not communicated through the chain of command. There was more. The revelation of a quota system in the Bronx for arrests, stops, and summons—which the department had previously denied in public—led to the firing of an officer, who is suing the department for violating his free speech rights. The New York Civil Liberties Union plans to file a lawsuit challenging the quotas as a violation of New York labor law. By contrast, Mayor Bloomberg has been an unflappable supporter of the nation’s largest police force. In February, the mayor said during his weekly radio appearance that the NYPD’s job is to prevent unlawful or violent acts and cajoled the AP for issuing “blame.” In March, he claimed that Muslim friends say he should continue to keep the country safe and that stopping enforcement at the border is “ridiculous.” A week later, he expressed concern about being “careful not to violate the rights you’re trying to protect,” but added that the criticism of surveillance is “a made for television thing.” When asked if he was annoyed by the denunciations of the NYPD, he maintained that diverse opinions are important, but his disdain for those who “want to get arrested” was unmistakable. He has also seemed oblivious to the hypocrisy of trumpeting police officers as the paramount protectors of free speech since officers have been accused of preventing the press from doing their jobs and barricading or arresting peaceable, law-abiding demonstrators. AT THE LEAST, City Hall has displayed a tin ear when it comes to civil rights: It should go without saying that the Mayor’s defense of NYPD surveillance activities needs to amount to more than a citation of an informal poll of Muslim friends and accusations that critics are publicity hounds. He has been less than vocal on stop-and-frisks. This is doubly tragic, since New Yorkers may be prepared to show more sympathy for the NYPD’s actions, if only they were more transparent. Indeed, Occupy Wall Street protestors have not always acquitted themselves well in their fight with City Hall over who has been the primary instigator in the conflict: It did not bolster the demonstrators’ case when one protester discarded feces last week in an ATM branch and plaza in Lower Manhattan. Of course, the controversies have also exacerbated the racial and ethnic divides that run through the city. A recent Quinnipiac poll found that 49 percent of New Yorkers disapproved of stop-and-frisks while 46 percent approved. But a closer look at the numbers reveal a deeper chasm. Fifty-nine percent of whites approved, while 68 percent of Blacks and 52 percent of Hispanics disapproved. Another poll found that 58 percent of New York voters think the NYPD behaved “appropriately” toward Muslims. Obviously, anticipating criminal, violent, or illegal acts is a tricky business. Officers, detectives, and intelligence officials don't know who will be the next Times Square bomber, murderer or human waste-throwing protester; it is certain that there are individuals and institutions about whom the police would be wise to aggressively gather intelligence for the sake of potential future investigations. After all, the department has caught Iranian nationals collecting data on city structures and landmarks. But the mayor and police commissioner should consider at what expense they are securing the city. They may perceive this as a battle over political turf and safety at all costs, but it’s also a more classic battle for the public’s hearts and minds, including those of the city’s minority populations. The harmony that Bloomberg and Kelly are trying to protect may be a lot more fragile than they think. Jill Priluck is a writer who lives in New York.